The steep limestone cliffs on the eastern side of the Rock of Gibraltar contain four caves with archaeological and paleontological deposits that provide evidence of Neanderthal occupation over a span of more than 100,000 years. This exceptional testimony to the cultural traditions of the Neanderthals is seen notably in evidence of the hunting of birds and marine animals for food, the use of feathers for ornamentation and the presence of abstract rock engravings. Scientific research on these sites has already contributed substantially to debates about Neanderthal and human evolution. Les falaises calcaires escarpées, situées dans la partie est du rocher de Gibraltar, renferment quatre grottes dont les gisements archéologiques et paléontologiques attestent la présence néandertalienne, pendant une période de plus de 100 000 ans. Ce témoignage exceptionnel sur les traditions culturelles des Néandertaliens se traduit notamment par des traces de chasse aux oiseaux et aux animaux marins à des fins alimentaires et par l’utilisation de plumes ornementales, ainsi que par la présence de gravures rupestres de caractère abstrait. Les recherches scientifiques menées sur le site ont d’ores et déjà contribué de manière importante aux débats sur l’homme de Neandertal et sur l’évolution humaine. الانحدارات والأحجار الجيريّة الحادة الواقعة في الجزء الشرقي من جبل طارق أربعة كهوف تحتوي على مواقع أثريّة تعود إلى العصر الحجري وتشهد على وجود الإنسان البدائي فيها لمدة تزيد عن 100000 عام. ويتجسّد هذا الدليل الاستثنائي على التقاليد الثقافيّة للإنسان البدائي تحديداً في آثار تصف صيد الطيور والحيوانات البحريّة من أجل الحصول على الطعام باستخدام ريش الزينة ناهيك عن وجود رسوم صخريّة واضحة. وكانت الأبحاث العلميّة في هذا الموقع قد ساهمت مساهمة كبيرة من قبل في المناقشات بشأن الإنسان البدائي وتطوّر البشريّة. В глубине крутых известняковых утёсов, расположенных в восточной части Гибралтарской скалы, скрыты четыре пещеры, которые, судя по археологическим и палеонтологическим находкам, были населены неандертальцами на протяжении более 100 тысяч лет. Это уникальное свидетельство культурных традиций неандертальцев главным образом отражено в изображениях охоты на птиц и морских животных, а также абстрактных наскальных рисунках. Здесь же обнаружены следы использования птичьих перьев в декоративных целях. Научные исследования на территории данного объекта, уже внесли значительный вклад в дискуссию о неандертальцах и их месте в эволюции человека. De steile kalkstenen kliffen aan de oostelijke zijde van de Rots van Gibraltar bevatten vier grotten met archeologische en paleontologische afzettingen die getuigen van bewoning door Neanderthalers gedurende een tijdspanne van meer dan 125.000 jaar. De culturele tradities van de Neanderthalers blijken uit de aangetroffen resten die bewijzen dat ze op vogels en zeedieren jaagden, veren gebruikten ter ornamentatie en de aanwezigheid van abstracte rotstekeningen. Wetenschappelijk onderzoek in deze grotten heeft substantieel bijgedragen aan de debatten rondom Neanderthalers en menselijke evolutie. Located on the eastern side of the Rock of Gibraltar, steep limestone cliffs contain four caves with extensive archaeological and palaeontological deposits that provide evidence of Neanderthal occupation over a span of 100,000 years. These caves have provided extensive evidence of Neanderthal life, including rare evidence of exploitation of birds and marine animals for food; and use of bird feathers and abstract rock engravings, both indicating new evidence of the cognitive abilities of the Neanderthals. The sites are complemented by their steep limestone cliff settings, and the present-day flora and fauna of Gibraltar, much of which can be also identified in the rich palaeo-environmental evidence from the excavations. While long-term scientific research is continuing, these sites have contributed substantially to the debates about the Neanderthal and human evolution. The attributes that express this value are the striking cluster of caves containing intact archaeological deposits that provide evidence of Neanderthal and early modern human occupation of Gibraltar and the landscape setting which assists in presenting the natural resources and environmental context of Neanderthal life. Criterion (iii): Gorham's Cave Complex provides an exceptional testimony to the occupation, cultural traditions and material culture of Neanderthal and early modern human populations through a period spanning approximately 120,000 years. This is expressed by the rich archaeological evidence in the caves, the rare rock engravings at Gorham’s Caves (dated to more than 39,000 years ago), rare evidence of Neanderthal exploitation of birds and marine animals for food, and the ability of the deposits to depict the climatic and environmental conditions of the peninsula over this vast span of time. The archaeological and scientific potential of the caves continues to be explored through archaeological research and scientific debates, providing continuing opportunities for understanding Neanderthal life, including their capacity for abstract thinking. The boundary includes all elements necessary to express the Outstanding Universal Value of this property, including the setting of the caves in relation to the topography and vegetation of Gibraltar (limestone cliffs, fossil sand dunes, fossil beaches, scree slopes, shorelines and flora and fauna). The property is vulnerable to sea level rises, flooding and other effects of climate change. The authenticity of this property is demonstrated by the substantial stratified archaeological deposits in the caves, the landforms that contain the caves and demonstrate the geomorphological history of Gibraltar, and the cliff vegetation and fauna that can be associated with the environmental conditions of the past. The property and most of the buffer zone are located within the Gibraltar Nature Reserve (Upper Rock Nature Reserve). The property and its buffer zone are given legal protection by Gibraltar Heritage Trust Act (1989), the Nature Protection Act (1991) the Town Planning Act (1999), the Town Planning (Environment Impact Assessment) Regulations (2000), and the Nature Conservation Area (Upper Rock) Designation Order (2013). The individual caves containing evidence of Neanderthal and early modern human occupation are protected as Schedule 1 Category A (maximum protection) sites under the Gibraltar Heritage Trust Ordinance. Development is regulated by the Town Planning Act and by implementation of policies in the Gibraltar Development Plan (2009), including the 2014 Town Planner’s amendments. Planning controls and procedures are enforced by the Development and Planning Commission. The area of sea adjacent to the property is located within the Eastern Marine Conservation Zone, protected as a marine area of conservation through European Union legislation (European Marine Special Area of Conservation), and Gibraltar legislation (Marine Nature Reserve Regulations (1995), the Marine Strategy Regulations (2011) and the Marine Protection Regulations (2014)). The property is managed by the Gibraltar Museum. 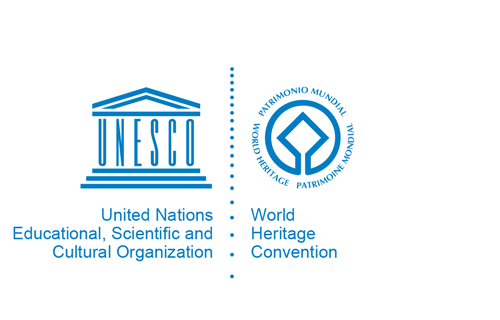 The Executive Management Group (comprised of relevant government agencies) oversees the implementation of the management system, assisted by the Museum’s multi-disciplinary World Heritage team. The Executive Management Group reports to a Steering Committee (Advisory Forum) which includes a wide spectrum of stakeholders. The International Research and Conservation Committee assists in establishing research programs and reviewing scientific outcomes. Levels of resourcing, including staffing are reviewed annually. Management plans are in place for the property and for the (larger) Gibraltar Nature Reserve. The latter will be revised to ensure compatibility with the World Heritage inscription and to ensure priority is given to the retention of the Outstanding Universal Value of the property. The management system is further supported by the Risk Preparedness Plan, Research and Conservation Strategy and Integrated Visitor Strategy. A five-year Archaeological Excavation Action Plan (2016-2020) outlines the planned work and addresses the need to balance excavation and the conservation of deposits. While visitor pressure is not a current threat, it is likely that visitation will increase. Access to the caves is strictly controlled, and visitors must be accompanied by a guide approved by the Director of the Gibraltar Museum. Monitoring is in place and the carrying capacity of the property is reviewed annually. Implementation of the Integrated Visitor Strategy will improve the visitor experiences and presentation of the Outstanding Universal Value.